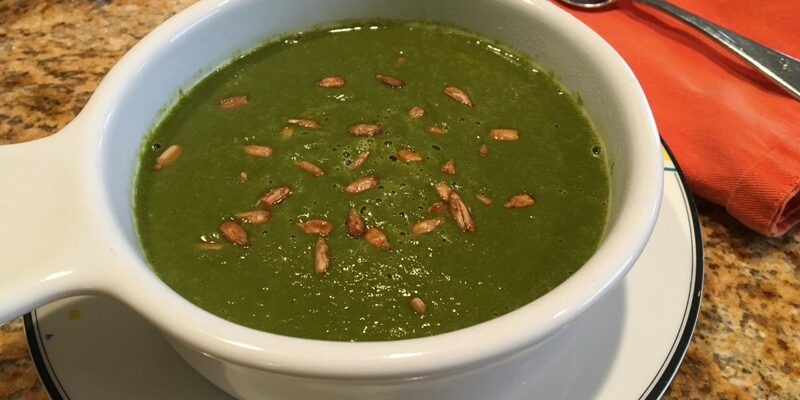 Spinach soup is a great diversion from spinach salad. Same great nutritional density, with a different texture. 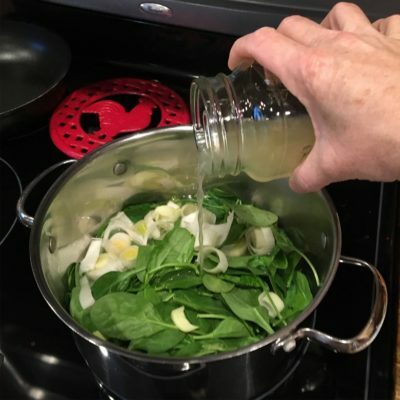 If you like spinach, you will love this soup! Once all the vegetables are tender, place in a blender or food processor; puree in batches if necessary; use extreme caution to not add too much at one time. The liquid is hot and will easily expand while blending. Add hot sauce for an added kick! If you like a New Mexican flair, add one small can green Chile to the pot in step number 6.